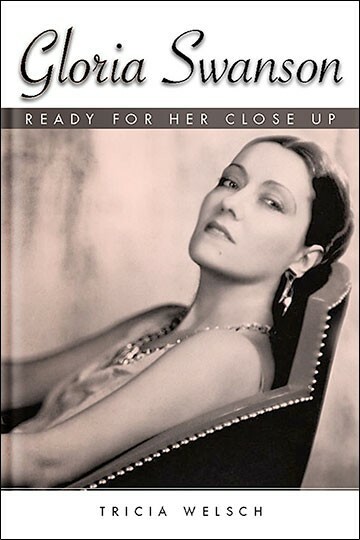 Gloria Swanson: Ready for Her Close-Up shows how a talented, self-confident actress negotiated a creative path through seven decades of celebrity. It also illuminates a little-known chapter in American media history: how the powerful women of early Hollywood transformed their remarkable careers after their stars dimmed. This book brings Swanson back into the spotlight, revealing her as a complex, creative, entrepre- neurial, and thoroughly modern woman. Frustrated with the studio system, Swanson turned down a million-dollar-a-year contract. After a wild ride making unforgettable movies with some of Hollywood’s most colorful characters—including her lover Joseph Kennedy and maverick director Erich von Stroheim—she was a million dollars in debt. Without hesitation she went looking for her next challenge, beginning her long second act. Swanson became a talented businesswoman who patented inventions and won fashion awards for her clothing designs; a natural foods activist decades before it was fashionable; an exhibited sculptor; and a designer employed by the United Nations. All the while she continued to act in films, theater, and television at home and abroad. Though she had one of Hollywood’s most famous exit lines—“All right, Mr. DeMille, I’m ready for my close-up”—the real Gloria Swanson never looked back.